A professional Scottish salmon fishing guide has to have a unique range of fishing and hosting skills to be able to effectively look after fishing guests on the rivers of Scotland from year to year. In the following paragraphs I'll detail a few of these necessary attributes which will highlight what makes a professional salmon guide excel in this business. The first most important factor is that a professional guide has to have a well grounded background of being an exceptional salmon fisher with all various tactical approaches. This skill may sound as if this should be taken for granted but I can assure you that many guides are not technically gifted and it's very much the minority of professional guides who have this rare range of 'effective' salmon fishing skills. A professional Scottish salmon guide really needs to have served in a professional capacity in the industry to have obtained high level guest hosting skills that they can adjust to match any salmon fisher who appears on the river. Different guests require varying approaches of interaction and 'full time' river guest hosting experience will have fine tuned this vital component of how to deal with all types of fishing guests. All salmon fishing guides need to realise that they are in the 'people business' and good hosting skills are vital for the client experience whether a salmon shows up or not. A professional salmon fishing guides has to be a great communicator in order to get guests fishing quickly and effectively even if the guests have no prior salmon fishing experience. Knowing how to keep communications simple yet effective are vital when it comes to teaching Spey casting or riverbank movement techniques. If the communication skills are not up to scratch this obviously restricts the guests chances of success. A professional guide's objective is to quickly duplicate their own skills with all the fishing guests to increase the quality of presentation and effective water coverage. When you hire a Scottish salmon fishing guide through ourselves you're hiring the best of the best as we do not work with salmon fishing guides who do not fit the above criteria of experience or skills. It's crucial that your Scottish salmon fishing experience provides you with the very best chances of success and staying in this truly magical sport. 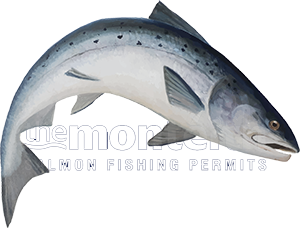 A salmon guide with one of the many new casting body certificates is more often than not simply unable to teach you the real fishing skills you need to know. A seasoned professional guide who's on top of their game will ease your introductory process significantly. Follow this link for more details on how to book a Scottish salmon fishing guide.